Mark’s Highway 2 Service brings over 40 years of experience to every auto repair. From brakes, to tires, to light duty diesel, our expert technicians are here to help. 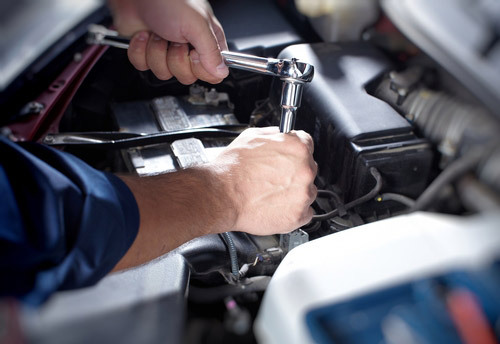 We address your individual needs for general auto repair and tune-up services. Locally owned and operated, Mark’s Highway 2 Service is your trusted shop for auto repair in Devils Lake, ND. Our goal is to provide great service at a fair price. We know it can be difficult to find a place that offers reliability, honesty and quality work. That’s why we work hard to make sure that everyone who enters our shop receives the same great service, top-quality workmanship and professional integrity. Mark’s Highway 2 Service ensures we are always worthy of the trust our customers place in us. The greatest testament to our service is that our customers keep coming back to us again and again. We bring over 40 years of experience to your service. We offer general repairs for a full range of vehicle makes and models. Our certified inspectors deliver professional assessments of your vehicle. We provide light-duty diesel repairs. When you want honest, affordable service for your vehicle, Mark’s Highway 2 Service is your top source for general repairs, tune-ups and inspections. Contact us today.